Acamprosate is one of the newest drugs to be added to the formulary for the treatment of alcohol dependency. The FDA has approved acamprosate for maintenance of abstinence from alcohol in patients with alcohol dependence who are abstinent at treatment initiation. 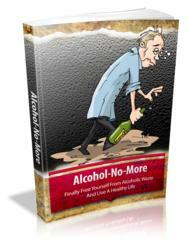 This provision includes that patients also participate in a comprehensive alcohol treatment program. Acamprosate is reasonably well tolerated and without serious adverse effects (AHCPR, 1999). European trials of acamprosate showed efficacy in alcohol dependence; acamprosate enhanced abstinence and reduced drinking days in alcohol-dependent subjects. Acamprosate is recommended in newly detoxified dependent patients as an adjunct to psychosocial interventions. Acamprosate is approved for use in alcohol-dependent and alcohol-abusing patients. Its mechanism of action is not well known, although there is fair evidence of its benefit. Acam-prosate is an analog of homotaurine, a GABA-ergic agonist. The GABA-ergic system appears to affect the action of alcohol-induced behavior. Acamprosate also appears to have effects on glutamate and NMDA receptors. Chronic alcohol exposure is thought to alter the normal balance between neuronal excitation and inhibition, and acamprosate may help restore some of this balance. 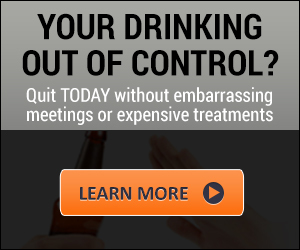 Several controlled clinical trials have demonstrated the effectiveness of acamprosate as an adjunct to psychosocial therapy for alcoholics who have undergone inpatient detoxification. In these studies, acam-prosate was demonstrated to be superior to placebo. Acam-prosate does not appear to be effective in the treatment of polysubstance abuse (Bouza et al., 2004; Mann et al., 2004). Evaluation of renal function for those at risk, including elderly patients, is indicated before initiating treatment with acamprosate. Two U.S. multicenter trials, including the Combining Medications and Behavioral Intervention for Alcoholism (COMBINE) study, failed to show an advantage of acamprosate over placebo on an "intent to treat" basis (Anton et al., 2006; Mason et al., 2006). Discrepancies may be caused by differences in European studies, which included heavier drinkers with longer periods of abstinence before induction in trials (Kanzler et al., 2009).